Do you find your child lashing out? Are you having trouble communicating with your child during moments of extreme frustration or aggression? As I explained in my previous article, while children are growing and still learning how to cope with anger, they tend to instinctively use anger as a defense against physical and emotional pain. As the parent, there are many ways you can help your child through these emotional moments. 1. DO recognize and acknowledge your child’s feelings. If you validate your child’s feelings, then your child doesn’t need to defend those feelings and is less likely to respond in anger. Acknowledging feelings causes your child’s anger to soften and leaves a safe space in which he or she can learn empathy and coping skills. On the other hand, if you discount your children’s feelings and experience, their anger will intensify as they fight to establish and validate their own sense of self. 2. DO practice empathy. 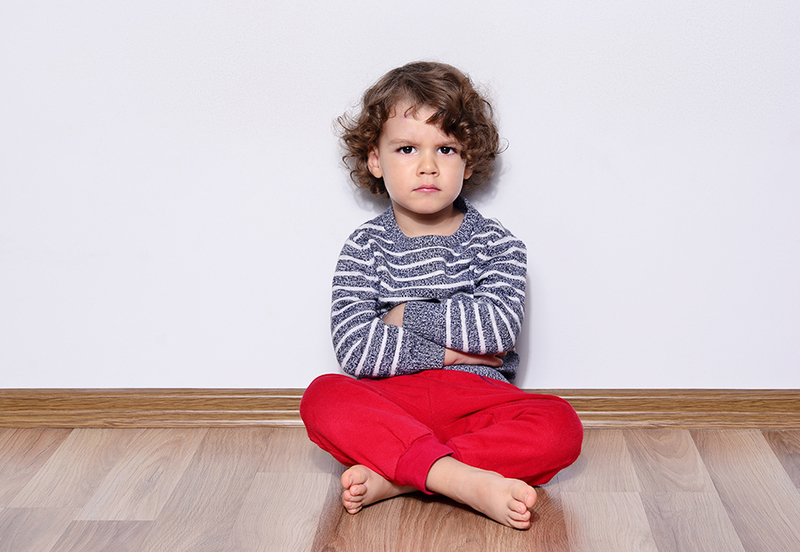 By listening to your child’s feelings without interruption or defense, you create space for your child’s anger to dissipate, as they no longer need to use up energy defending the fairness of their position. By empathizing with your child’s feelings, you are helping them regulate the cortisol — the fight-or-flight chemical — that emerges through emotional stress. The consistency of your open reception to your child’s anger teaches him or her to react less emotionally and more critically. Ultimately, this is how nature and nurture come into balance, as a child’s behavior affects body chemistry and therefore, their emotional control. 4. DO establish clear standards for acceptable and unacceptable behavior. This means that though we want to validate all our child is feeling, allowing those emotions does not translate into the acceptance of bad behavior. There are common rules of engagement which include: no hitting, throwing, breaking objects or disrespect. By involving children in establishing the consequences for their behavior, you will find that your children are more likely to respect the rules. By limiting your children’s aggressive behavior, you are in a sense establishing a safety container for their feelings. 5. DO teach your child relaxation methods. By teaching children progressive relaxation, breathing techniques and other self-managing tools for stress, they can calm themselves down when confronted with anger. These techniques not only change the neural pathways, but also affect impulse control. Like every habit, the more your do it, the better you become at it. For example, if a child learns to breath in before giving in to the impulsive act of hitting, it gives that child a sense of control and lessens the need to establish control by acting out. 6. DO try a “time in” instead of a “time out.” As the parent, you are your child’s main guide in life, and as their guide, they rely on you to be there with them through their emotional experience, whatever that may be. Therefore, no time out, no isolation. Instead, try a “time in” — sit with your child and incorporate other methods mentioned in this post: work on breathing with them, ask them questions about their feelings. The important thing is to be fully present with them to help them through their emotions. Remember, you are teaching your child social cues and skills to be in relationships with others, rather than acting out alone. When children are isolated, they often ruminate and feel guilty for their behavior. This only serves to create concrete reasons for low self-esteem, which often cycles back to creating bad behavior. 7. DON’T attempt to orchestrate your child’s feelings. It is important to value what your child is experiencing. For example, if your child is hurt or crying, never say to them: “Stop crying.” But rather, validate your child’s experience, saying, “I know that hurts; that would make me cry also.” This makes an ally out of you, rather than a target for free floating anxiety and anger. As an ally, your child learns to trust you, realizing you are there for them — no matter what, right or wrong, and that they can count on that. If your child can trust you, they can learn to trust themselves and the outer world. If, for example, your child tells you they hate you, or wants you to leave them alone, it is important to assure them that you will be nearby and that you will always be there for them — no matter what. 8. DON’T go down to your child’s level of behavior. Consciously and deliberately step into your role as the adult and remain there for the entire stressful episode. Little children can really work themselves up emotionally, especially while defending their position. Your job as a parent is to stay composed. Your state of calm allows your child to feel safe in the midst of chaos. A parent is always a child’s touchstone, the one they look toward, for security and safety. Children become afraid when their parents display anger. By staying in your adult role, you are teaching your child that it is okay to feel angry, and that when the feeling passes, you are still there, holding a secure space for them. 9. DO teach your children to recognize anger cues. If children can self-monitor, they can self-manage. By recognizing the feelings that accompany anger, children can recognize the onset of those emotions. This gives them time in which to self-manage before they are caught in the chaos of emotion. If you see that your child is over-tired or cranky, you have the opportunity as a parent to teach them to recognize their oncoming emotions by resting with your child, reading to your child, or spending some cozy time together. 10. DO teach your children how to bring their feelings to consciousness. By recognizing the emotions that drive their behavior, children can learn to skillfully manage that behavior. Writing, drawing and painting are wonderful ways to express the issues that are bothering children, especially if they have trouble verbalizing their emotions. When my children were little and reached the point of no return in their emotional intensity, I bought a Shmoo, which is balloon that can be punched and pops back up. I gave permission for my children to use the pillows on their bed or the Shmoo to release some of the pent-up feelings of emotions. Once those feelings are out in the open, you can collaborate with your child to find ways of coping with these feelings empathically. 11. Invest your child in the process of managing their anger. Ask your children to give you some tips on how they could positively manage their emotions. Make a list of five actions they can take — such as breathing deeply for one minute or drawing a picture — and leave the list somewhere your child can see it, such as his or her bedroom door or on your refrigerator door. 12. DO bond with your child. A well-bonded child can learn to cope and manage his or her emotions, to problem-solve, to process and to stick with a problem until it is resolved. They are also more adventuresome and will creatively explore different options as solutions to problems. The well-bonded child feels like he or she can depend on parents. In the end, remember that you, as the parent, make all the difference. By following these tips, you can help strengthen your relationship with your child and give them the tools they need to cope with their anger. If you notice that your child has relationship problems, is a bully, or tries to hurt themselves, others or animals, do consider seeking professional help for both you and your child.